If you’re working from an existing marketing plan, or developing a new one, it is very important to review and set your business marketing goals for the coming year. Even if you are working from a 3 year strategy, times are constantly changing, so the strategy and plan should be regularly revised. And the period just before the beginning of a New Year may be the best time to do this. How did my marketing perform over the last year? Based on the marketing spend, what was your R.O.I.? What worked with your marketing last year? What didn’t work? What marketing goals did you achieve? Were they hard or easy? Once you answer these questions, you will be in a great position to plan for the next 12 months. The goal needs to be as clear and detailed as possible. The more detailed, the higher chance of success. A non-specific goal may be – “to get more customers”. This doesn’t really help as a goal to achieve. Exactly how many customers do you want to get? How many customers can your business handle? You need to think very clearly about your goal setting specifics. A goal must be able to be measured, so that you know exactly when it has been achieved. So again, instead of setting a goal “to get more customers”. You may decide you currently get 20 new customers a month, and you would like to set a goal to obtain 30 new customers a month, which is a 50% increase. It is important to be realistic when setting marketing goals. There is no point setting a goal to obtain 100 new clients per month, if you currently are getting 20. The goal needs to be believeable to you, and your team. Any goals you set in your business, need to be relevant to your current business activities, and industry, or future planned activities. The goal should easily fall in line with your company mission statement and vision. If your business vision is to become the best in your area, and build your reputation, it may not make sense to set a goal to establish yourself in another area. All your marketing goals must have a time limit, by which time the goal should be achieved. Whether the limit is 3 months, 6 month or 12 months, it’s very important to decide when you would like to reach your marketing goal. Once you choose a general goal, it’s time to sit down and make that goal S.M.A.R.T. Setting marketing goals really gives the foundation for your marketing plan, and guides the promotions you decide to implement. Always keep in mind though, that your Marketing Plan needs to be an agile and regularly updated document. 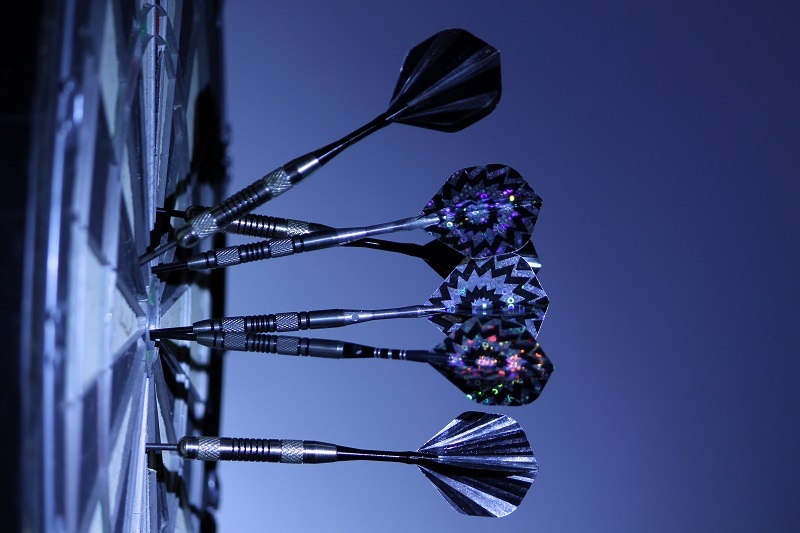 What marketing goals are you planning for the New Year? Is Quora the New Social Media Player? I really like the SMART goal setting. It is an easy formula to remember. There is no doubt that the marketing end of any business needs some smart attention when it comes to look at what happened in the last year and how to plan for the next year. Keeping good stats has made all the difference for me. It has been easier to determine what worked and what didn’t. @Sheila Atwood, Hi Sheila, I’m happy to hear you like the SMART idea. It really makes sense to me for goal-setting, and I use it all the time. Yes, with the market, economy and technology changing so often, long term marketing goals can easily be outdated, and need to be regularly tweaked. Otherwise businesses will learn the hard way. If you are interested to learn more about S.M.A.R.T, I recommend you to read about Dr. Edwin A. Locke’s work in this field. I have a link to a description of his goal-setting theory on my EGO Sole Trader site. @Martin Lindeskog, Hi Martin, Thanks for sharing that information. I am not familiar with Dr Edwin A Locke, but if he is researching effective goal-setting, I’m sure his work must be helpful. I did find some conflicting research on SMART. A lot of people thought “R” was for Realistic, rather than Relevant. And I didn’t think this made much sense, since Attainable pretty much means Realistic anyway. The Goal Setting Theory was developed by Locke in 1968, in order to explain human actions in specific work situations. The theory argues that goals and intentions are cognitive and willful, and that they serve as mediators of human actions and that our needs and our goals are mediated by our values, which determine what is beneficial for us. @Extreme John, Thank you John. Yes I did, and I hope you did too 🙂 I didn’t realise the area where people fall down in their goal setting is in the “Attainable” section. I know some people do get carried away when they first start setting goals, because they think just setting one, automatically means you can achieve it. And there is so much more to consider. I love this time of the year. The holiday season is over, I had a nice break and now it’s time to take a look back at the year and more importantly start planning for the new one. Set or plan the market goals this 2011 is the great idea to take a look all the you want to change or set for your business. Shall way say that this is it that you can achieve it all. The theory argues that goals and intentions are cognitive and that they serve as mediators of human actions and that our needs and our goals are mediated by our values, which determine what is beneficial for us. Understanding how to separate your long term and short term goals keep you focused on your marketing journey. Start realizing the difference between the two and find yourself making significant progress in your network marketing business.